Place Oysters in the microwave and cook at full power for 25 sec. Let the Oysters cool, then open and remove the meat out of the shell. Place the meat to one side. Clean the Oyster shells, dry them properly and set aside for later use. In a gently heated pan, sauté the spinach in a little butter. Neatly place a tablespoon of the sautéed spinach inside each shell and layer each individual Oyster on top. Glaze each Oyster in their shells with 1 big tablespoon of the Hollandaise sauce. 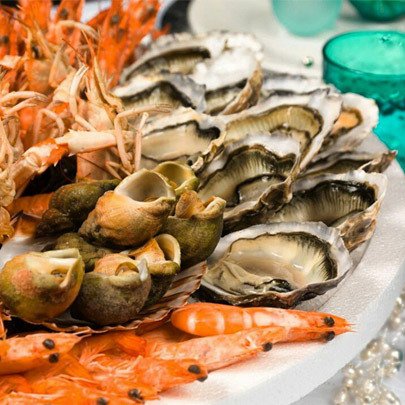 Gratinate the Oyster under a pre-heated grill until the sauce becomes golden. This should take around 5 minutes. 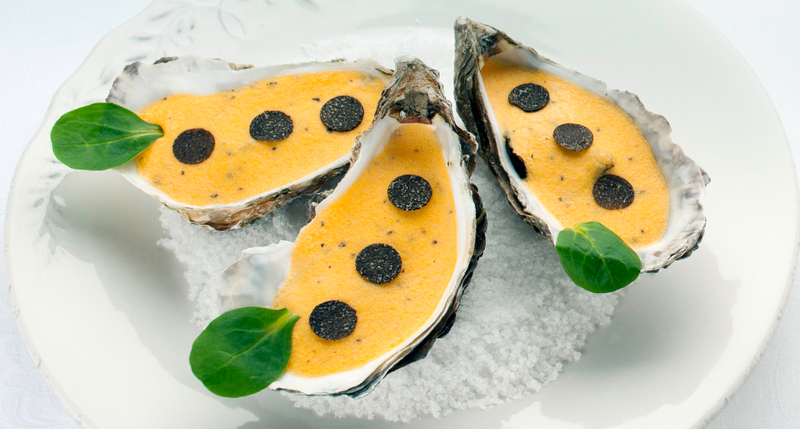 Finally, add freshly shaved trufﬂes on top of each Oyster before serving.